Ela hates mess, so in her free time she likes cleaning. Piotrek would like to become a priest and he has already taken action to make it come true. Kasia, in turn, keeps dreaming about eternal summer and… a new pair of earrings. This is a short summary of the “Jestem” film – a Polish version of “I Am…”, a production about disabled Canadians. 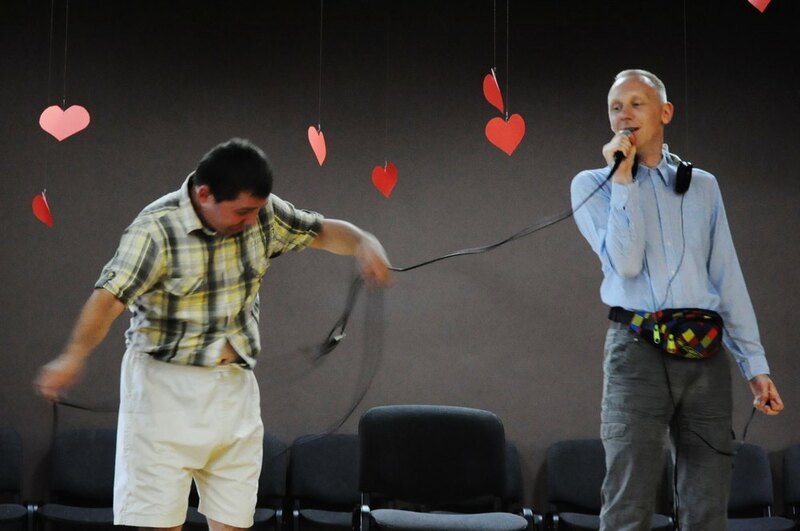 The Polish version stars six members of two care centres in Wrocław. The main protagonists of the film are: Ela, Piotrek and Paweł form the nursing house run by Stanisław Jabłonka Przyjazny Dom Foundation and Kasia, Ewa and Piotrek form L’ARCHE Wrocław. However, there are no roles to play in this film: all the people appearing in it are just… being themselves. They talk about their hobbies, dreams and crushes, which allows us to get to know them better and to recognise worthy people in them. Both the Polish and the Canadian versions have the same message: there is no substantial difference between the intellectually challenged and non-disabled people, as the disabled also have their feelings and also live their dreams. The disabled actors were by no means trained for the roles, as we wanted them to remain authentic. The outcome of this project exceeded our expectations: the film causes emotions and provokes thought. The film was published on the internet and now will be also screened during meetings and workshops for teenagers (which are in the project’s scope). The original version of “I Am…” was prepared by L’ARCHE Foundation in Cape Breton. The idea came from Cheryl Zinyk and the artists of Sol Express at L’ARCHE Toronto. The Polish version was produced by Adrian Rec Good Content.